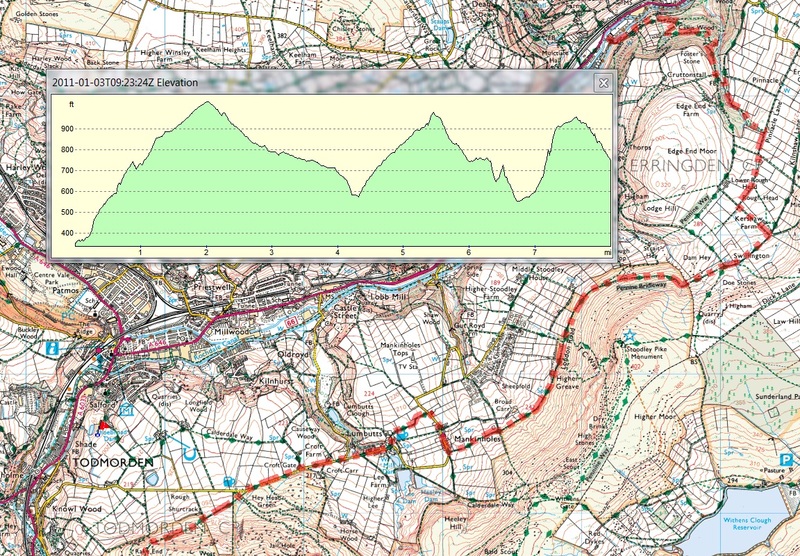 This is a tough leg, with a similar total ascent to Leg 2 but with 4.8 flat miles removed. All but the last climb are runnable so there is no let up. Trail shoes are fine. The last climb is very steep. 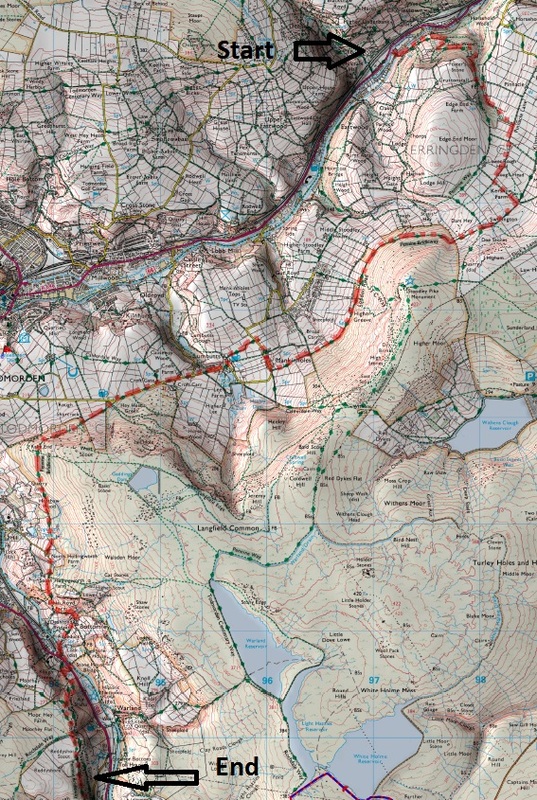 The maps below show the route we took on a recce run. 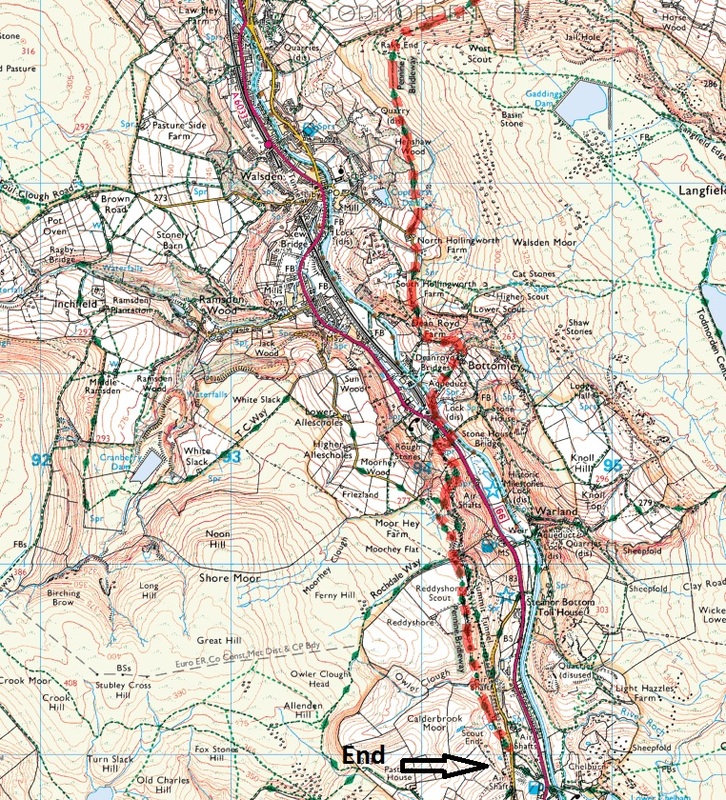 I think this was correct, but I'm not 100% certain ( I am checking them with Rossendale Harriers).